AKIPRESS.COM - Iran has exceeded a soft limit on sensitive material set under its nuclear deal with major powers, the U.N. atomic watchdog said on Wednesday, hours after Donald Trump - who has strongly criticized the agreement - won the U.S. presidential election, Reutersreported. It is the second time Tehran has surpassed the 130 metric tonne threshold for heavy water, a material used as a moderator in reactors like Iran's unfinished one at Arak, since the deal was put in place in January. It had 130.1 tonnes of the material on Tuesday, the watchdog said. "On 2 November 2016, the director general expressed concerns related to Iran's stock of heavy water to the vice president of Iran and president of the Atomic Energy Organization of Iran, ... Ali Akbar Salehi," the International Atomic Energy Agency (IAEA) said in a confidential report seen by Reuters. 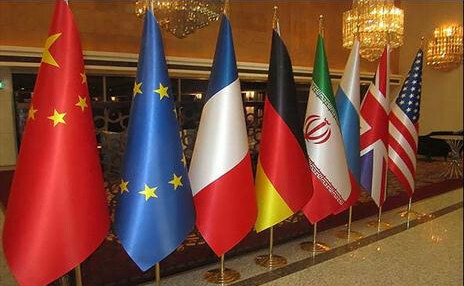 The IAEA is policing the restrictions placed on Iran's nuclear activities under the deal it signed with the United States, Russia, China, Britain, France and Germany. The agreement also lifted international sanctions against Tehran. Iran told the agency it would prepare to transfer 5 tonnes of heavy water out of the country, as provided for in the deal, and a senior diplomat said Iran planned to carry out the shipment in the coming days. A U.S. State Department spokesman, speaking at a regular news briefing in Washington, confirmed Iran's intention to export the excess heavy water. "It's important to note that Iran made no effort to hide this, hide what it was doing from the IAEA," spokesman Mark Toner said. Rather than setting a strict limit on heavy water as it does for enriched uranium, the deal estimates Iran's needs to be 130 tonnes and says any amount beyond the country's needs "will be made available for export to the international market".